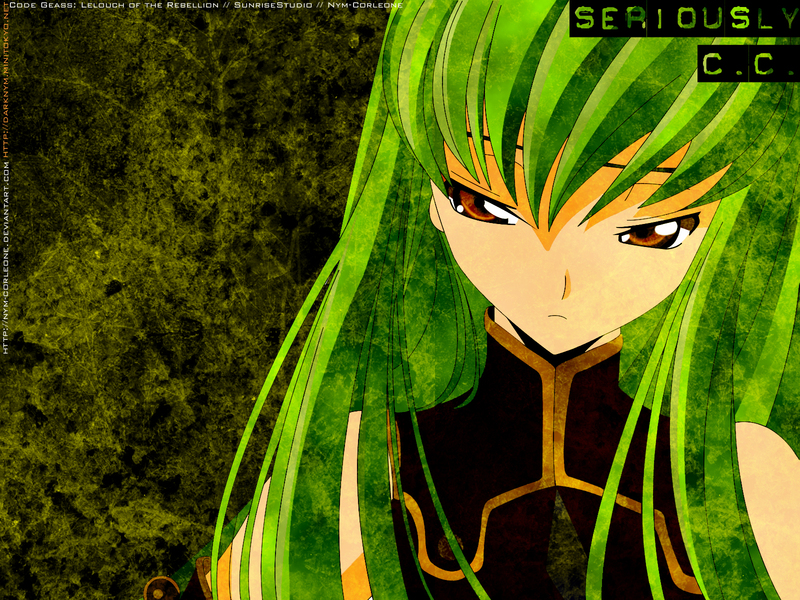 Lelouch of the Rebellion Wallpaper: Seriously C.C. Minitokyo »	Lelouch of the Rebellion Wallpapers » Lelouch of the Rebellion Wallpaper: Seriously C.C. Well another wallpaper for this week, I have to use my time instead of sleeping. You'll se I used the vector Kaney12 http://gallery.minitokyo.net/view/346279 did. C.C .quite a good wall though . I love the texture effects! wow a serious CC wallie! C.C" i love you^^ i don't have more word to you.